DIAGNOSTIC ACCURACY OF MR IMAGING IN THE DETECTION OF ACOUSTIC NEUROMA TAKING HISTOPATHOLOGY AS GOLD STANDARD. 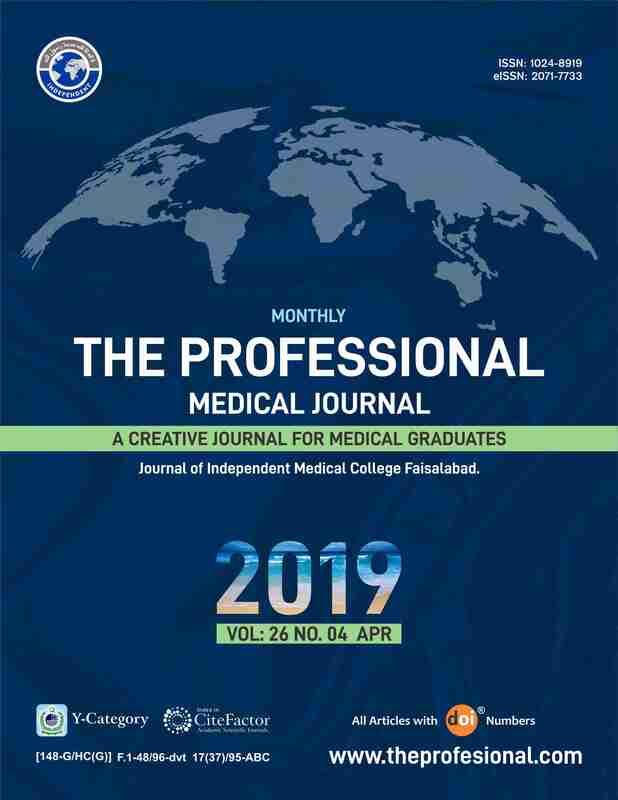 Nazish Hameed Sargodha Medical College, University of Sargodha. Muhammad Tahir Allied Hospital, Faisalabad. Faisalabad Medical University, Faisalabad. Hassan Bukhari Allied Hospital, Faisalabad. Faisalabad Medical University, Faisalabad. Hira Bukhari Sargodha Medical College, Sargodha. Objectives: To determine the diagnostic accuracy of magnetic resonance imaging in the detection of acoustic neuroma taking histopathology as gold standard. Study Design: Cross-sectional survey. Setting: This study was carried out at the Department of Diagnostic Radiology, Lahore General Hospital, Lahore. Duration of Study with Dates: Study was completed in six months after approval of synopsis from 14-07-2009 to 14-01-2010. Subjects & Methods: This study comprised of 55 patients with clinical suspicion acoustic neuroma. Magnetic resonance imaging on a 1.5-T Philips whole body magnetic resonance system was performed. The cases were operated and histopathological results were recorded. The results of magnetic resonance imaging and histopathology were compared taking histopathology as gold standard. Results: Out of 55 patients, 43 patients (78.2%) had acoustic neuroma on magnetic resonance imaging. After comparison of results of magnetic resonance imaging with histopathology, the sensitivity, specificity, positive predictive value, negative predictive value and diagnostic accuracy of magnetic resonance imaging were 97.7%, 91.7%, 97.7%, 91.7% and 96.4% respectively. Conclusion: Magnetic resonance imaging is a highly accurate, non-invasive, safe and convenient imaging modality for the evaluation of acoustic neuromas and is valuable for guiding surgical biopsies thereby decreasing unnecessary intervention. It allows detection of small tumours which is very useful in tumour characterization and plays an integral role in early detection, planning management and estimating patient’s prognosis. Nazish Hameed, Sargodha Medical College, University of Sargodha. Muhammad Tahir, Allied Hospital, Faisalabad. Faisalabad Medical University, Faisalabad. Hassan Bukhari, Allied Hospital, Faisalabad. Faisalabad Medical University, Faisalabad. Hira Bukhari, Sargodha Medical College, Sargodha.